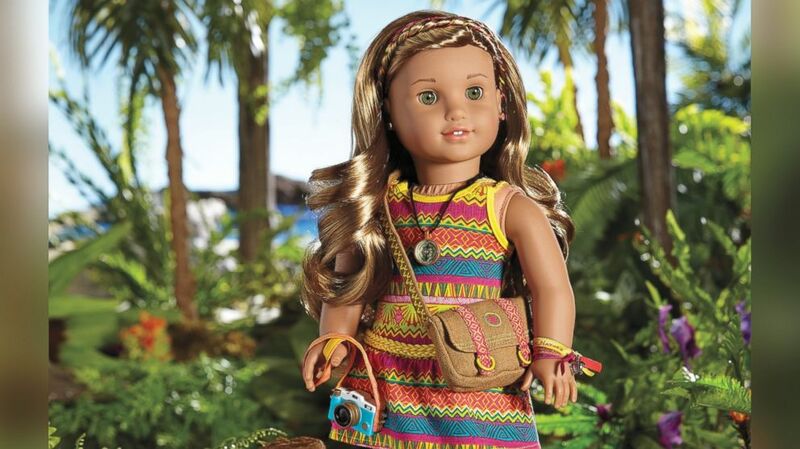 Pgh Momtourage: American Girl Coming to Ross Park Mall + Lea doll giveaway! 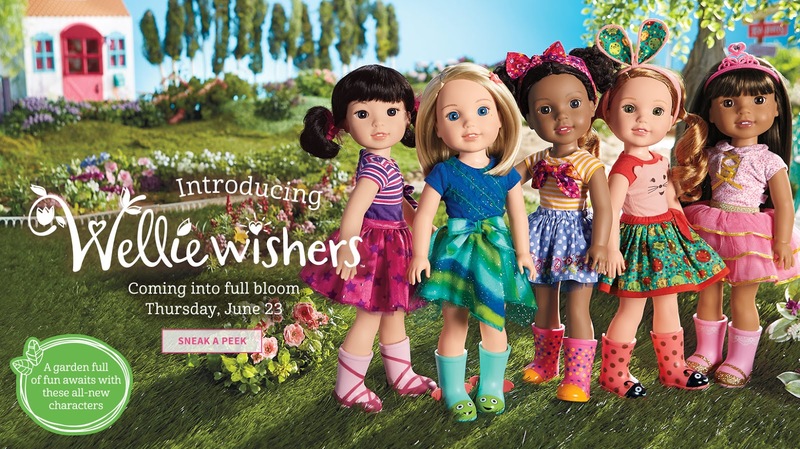 American Girl Coming to Ross Park Mall + Lea doll giveaway! 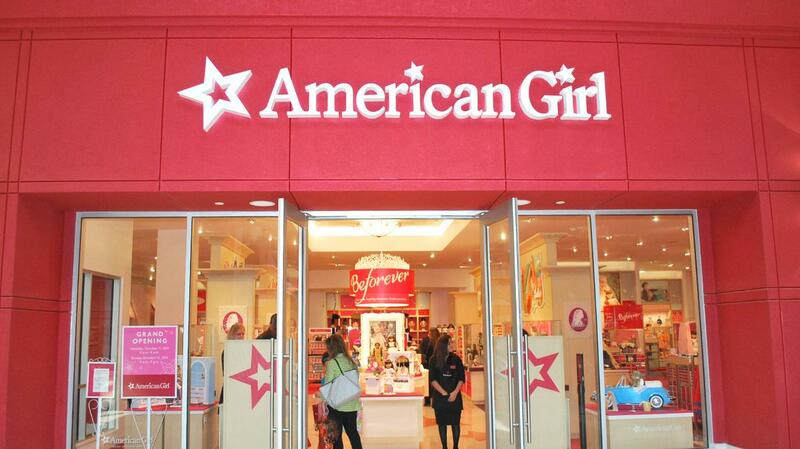 I was pretty excited to hear that Pittsburgh is getting a pop-up American Girl at store at Ross Park Mall this fall! It opens this Saturday, September 17, and will remain open through January 2017. The pop-up store will be featuring the newly release Wellie Wishers, as well as Lea, Girl of the Year. 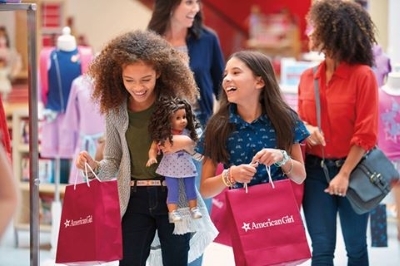 American Girl, a family favorite retailer of beloved dolls, offers an inspiring world of experiences and entertainment in its retail stores. 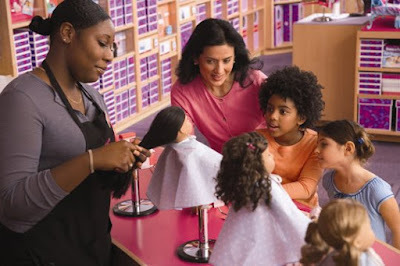 The pop-up location will feature an assortment of the popular American Girl dolls, books and accessories, along with the signature Doll Hair Salon. American Girl will be located on the Upper Level, near Sears. I love how much history can be learned through each special story. You can also find teacher/parent guides on their website to talk through various situations that happen in each girl's life. American Girl’s mission is to fuel belonging and connection among girls, a goal that has already earned the loyalty of millions and the praise and trust of their parents and educators. 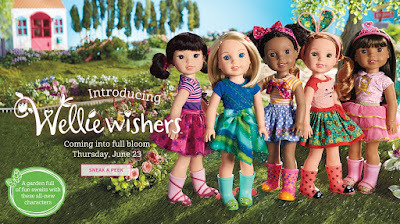 For more information about American Girl, please visit www.americangirl.com. 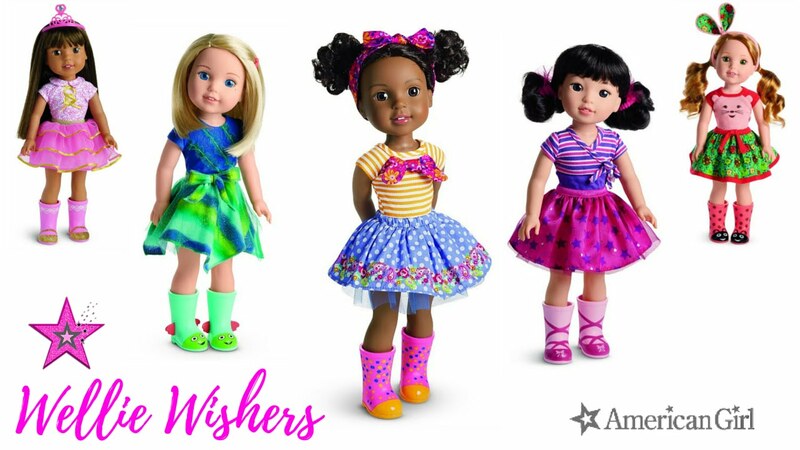 American girl is proud to feature one of the most inclusive and diverse selections of dolls today. From a wide range of skin colors, those facing hair loss because of illness, hearing aids, arm braces, a wheelchair + much more, you can find the perfect doll to fit each girl's life situation. VERY EXCITING GIVEAWAY.....we have doll of the year, LEA, to give away to one lucky winner! ONE stipulation (sorry out-of-towners!! ), but winner must be able to pick it up at the American Girl store at Ross Park Mall. Get ready to plan your girls shopping trip! Stop by this Saturday for their Grand Opening which will include giveaways, special events + more! This post sponsored by American Girl so I received compensation or products in exchange for my promotion. All opinions remain my own as I don't endorse companies that I don't value. Thanks for having this giveaway! I hope we win! My daughters fav American Girl right now is Grace. That's so exciting! I live right by Ross park mall. My daughter will love this! Thank you SO much for the live video of the pop up store. I was so curious how the store would compare to the regular stores. Awesome giveaway too! My daughter longingly looks at the catologue but no doll yet. My daughter loves them all!! But Caroline and Leah are her favorites. What a fun time for her! My daughter has been eyeing Lea in the most recent catalog. My girls & I have always enjoyed the kind spirit & good heart of the American girl dolls & would love to win the new Lea giveaway, as 'Santa's" budget has been too limited for us to purchase any American dolls in the past. My own small Lia ( pronounced Lea) would be overjoyed to recieve her own Lea/Leigha/Lia/Leah ,thank you for this opportunity to enter. So fun that you got a sneak peek! We <3 American Girl! My daughter is obsessed with American Girl! Such a fun giveaway! Can't wait to take my nieces! Looking forward to this! My girls love the Wellie wishers! 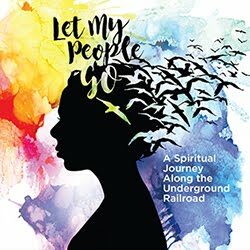 Had no idea they were coming to Pittsburgh! It's a great sign for our economy. Our daughter loves her doll and enjoyed lunch at the DC store last year with her GiGi. Will our store have a lunch option? My daughter would be so excited if we won!! My daughter loves her doll that looks just like her. She really wants Lea especially since we moved and her best friend's name is Lea. My daughter loves her bitty baby!!! I loved all the original stories.. Addy, Samantha, Kirsten, Felicity, ect. I had the set of Kirsten and I think she was my favorite of the whole set. This would be our first experience with AG dolls! We are planning to surprise Ruthie with her first American girl doll this Christmas :) Got my first one in Kindergarten. Such a fun tradition to pass on! I have Kirsten and love that I was able to pass my love for American Girls on to my daughter. I have always loved looking at the American Girl magazines with my sister's, but none of us ever had the chance to own one of the dolls. I would love for my daughter to experience playing with one! Thanks for the giveaway! Samantha is my favorite! My grand-daughter, Kairi, eats, sleeps and breathes American Girl. She has a couple and they are her go to dolls. I don't think she has a favorite because she loves them all and would like to include Lea into her AG doll family. My daughter doesn't have a favorite yet, but we both love that you can create the Truly Me dolls to look like you!! Lea would be my daughter's first American Girl doll. Her grandparents live in Pittsburgh and would be able to pick this up if we were to win! What a fun surprise to have when visiting Gran! My daughter has never had an America Girl doll before or read any of the stories. Would love to win Leah for my daughter! My daughters favorite is Felicity. She shares the same name (first and last)! My niece loves them all, but I think Kit is her favorite! My Granddaughter just turn 5 and her wish this year is for her first American Girl doll. My daughter loves her Mary Ellen doll she got for her birthday last year. She would be so excited to have Grace as a friend for Mary Ellen. She never played with dolls until we got her an American Girl. Josefina was always my favorite growing up. My son loves picking out Lea in the AG magazine and tells me he wants to buy it for his little sister. My daughter has a Bitty Baby doll that she loves and is asking for one of the bigger American Girl Dolls for Christmas. Unfortunately she may receive a Target knock-off. But she's only 5, so either way I know she'll be happy! My daughter has my original American Girl Samantha doll from the 80s when American Girl was just starting. We had a chance to visit the store yesterday. It was so much fun to explore! The favorite in our house right now is Bitty Baby, but i'm sure interest in the dolls like Lea will come next! I can't wait to take my daughter here! She doesn't have a favorite just yet. I have Lea for my daughter but would love one for my niece! Jenna loves AG dolls by doesn't have one of her own. She borrows them for a week at a time at or local library but would love having her very own! Know my daughter would LOVE to get an American Girl Doll! What a great giveaway!! My daughter has been saving her allowance to buy Lea!! What a great surprise if she would win!! For my daughters 8th birthday in lieu of a party we took a road trip to the AG store in Columbus where she got Isabelle for her birthday! Her grandparents even built her a doll house for her dolls!!! We love American Girl dolls, movies, and books. MY daughter would love to have one. Thank you for offering this contest. My daughter's LOVE American Girl dolls. Kit and Lea are favorites in out house. Thank you for offering this contest. My daughter's LOVE American Girl dolls. Kit and Lea are favorites in our house. What an awesome surprise giveaway! We are excited to be able to shop locally. Ticket Giveaway to LEGO KidsFest in Cleveland!